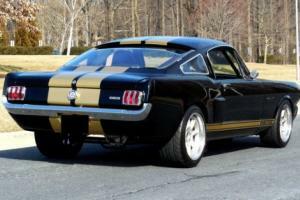 What you're looking at here is one of the rarest of Henry's pony cars. 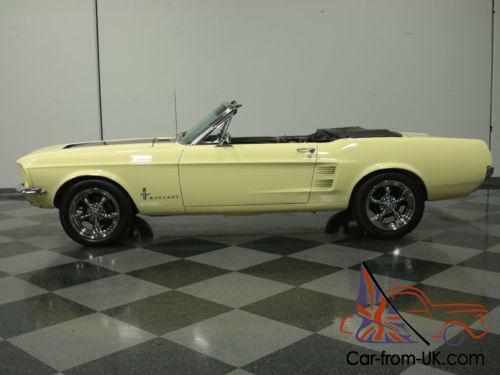 a 1967 Ford Mustang convertible with the top-of-the-line S-code 390 cubic inch V8 and a 4-speed manual gearbox. Ford didn't build very many of these. and except for the Shelbys. it pretty much represents the pinnacle of Blue Oval pony car performance in 1967. The Springtime Yellow finish helps camouflage the serious performance hardware underneath. and for a car with a pedigree like this. the workmanship more than measures up. It's smooth. shiny. and well applied. far better than it would have been when it was new. and the black hood inserts act as a kind of warning for those who are paying attention. Fit and finish are excellent. with even gaps and doors that fit well. and there's just no evidence that this car was ever rusty or abused. Instead. it appears that it has always been treated as something special. and even with the thundering big block under the hood. it doesn't seem to have been hammered on Friday nights. Along the way. someone has added a set of GT-spec fog lamps. 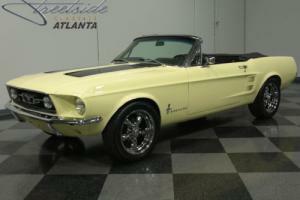 which always look great on the '67s. and it's also equipped with the Exterior Dcor Group. which includes the bright trim around the rear valence. The chrome bumpers are also quite nice and the whole car sparkles in the sunlight. as it should. 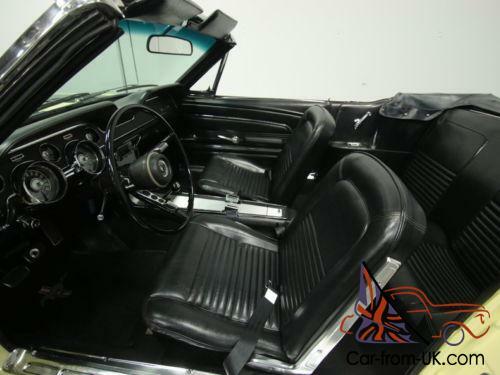 The black bucket seat interior is also original-spec. 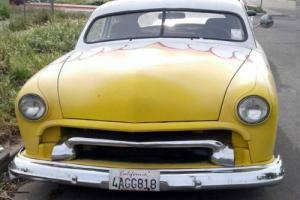 and you can see just how well-restored this car is by looking at the details. Check out the center console. the original steering wheel. and the bright trim on the seats themselves. It's got newer seat covers. fresh carpets. and new door panels. all of which replicate the original parts exactly. The Marti Report and window sticker indicate that this was originally an automatic transmission car. but along the way it was fitted with a correct 4-speed and from the driver's seat. the change is all but invisible. The gauges are beautifully restored with bright markings and clear lenses and the original AM radio is still in the dash. right above the "garage" storage compartment. Overhead you get a beautiful black power convertible top with a correct split rear window that folds easily and hides under a matching black boot. The trunk is outfitted with a correct plaid mat that fits well and looks great. 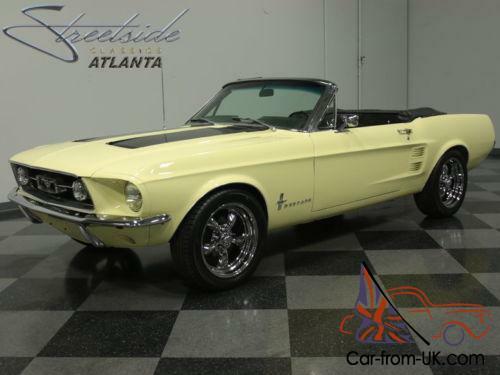 OK. the S-code designation means this Mustang packs the top 390 cubic inch V8. which. in Mustang guise. makes 335 romping. stomping horsepower. Rebuilt to stock specs and beautifully detailed. the engine bay looks showroom fresh thanks to little details like reproduction decals and properly stamped hoses. Chrome details are standard-issue on the hi-po motors like this. including the air cleaner lid and " Ford" valve covers. 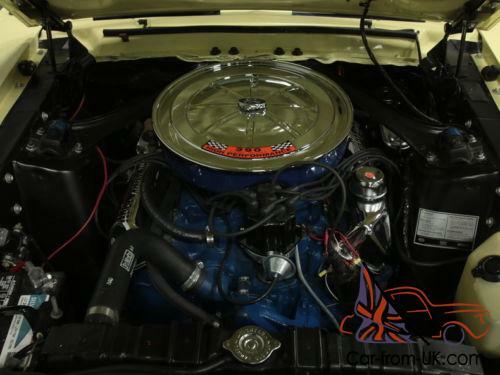 Ford blue on the block contrasts nicely with the satin black engine bay. too. 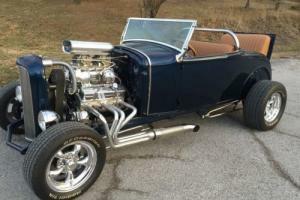 The engine starts easily and idles nicely. but when you step on it and all four barrels open up. there's a huge shove of torque that you just don't get in a small block Mustang. The 4-speed was retrofitted. and makes this car a lot more entertaining to drive. yet it retains its 3. 00 gears out back. so it's still very easy to live with every day. 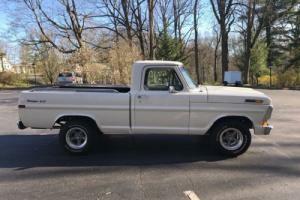 Front disc brakes and power steering are welcome additions to the equipment roster. and you'll find a fresh Magnaflow dual exhaust system underneath. Big 17-inch Torque Thrust wheels advertise performance. and they're wrapped in 275/55/17 rubber that totally fills the wheel wells. The Holy Grail of early Mustangs. this S-code convertible delivers big block performance. awesome good looks. and a pedigree that will ensure its value in the future. And just try to find another one! Call today!